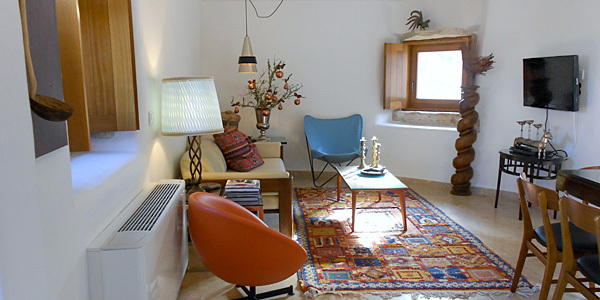 We’ve put together our favourite accommodation options for those who want to step off the well-trodden tourist trail and explore the ‘real’ Portugal. Encompassing coastal retreats, a secluded lakeside B&B and a tranquil guesthouse in an authentic Lisbon neighbourhood, we want to show off lesser-known sides of this beautiful and diverse country. 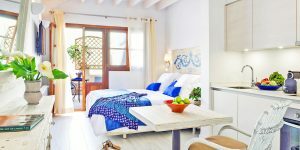 And, with many options starting at well under £100 per room per night, it proves that a true escape needn’t put a strain on the wallet. Set just an hour from Lisbon yet only on the radar of those in the know, the sleepy village of Comporta has gourmet restaurants, swathes of pristine sand and a chic yet understated vibe – it’s been compared to St Tropez before the hordes descended. 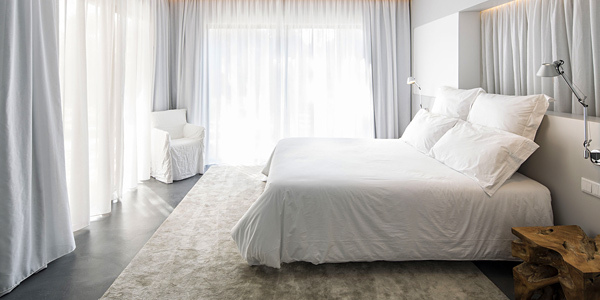 Tucked among fragrant pine trees just inland from the coast is Sublime Comporta, a contemporary retreat with a spa, a rim-flow pool, imaginative food and 14 swish all-white rooms. It’s the ideal base for those who want romance, relaxation and easy access to some of Portugal’s best beaches. 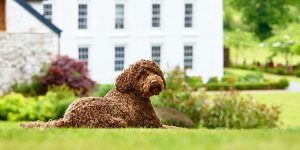 From £133 per room per night, based on 2 sharing a Queen Friend’s Room on a B&B basis. A mere 20 minutes east of Faro airport is Olhão, an authentic fishing town with cobbled streets and simple restaurants serving grilled sardines and jarros of wine; it’s a world away from the bustling resorts you’d normally associate with the Algarve. This great-value townhouse hotel is hidden down a narrow street, between a fishmonger and a neighbourhood eatery. 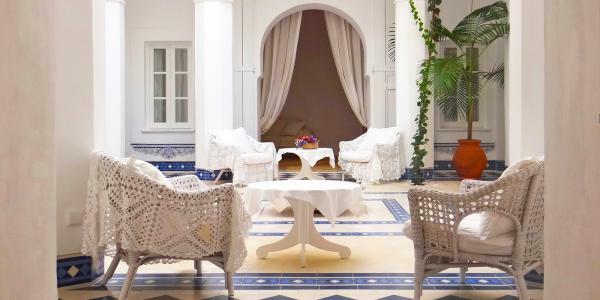 Inside it has a Moroccan riad feel, with a tiled courtyard and 9 romantic bedrooms adorned with antiques. Crowning it all is a split-level roof terrace overlooking the lagoons of the Rio Formosa National Park, whose beautiful lagoon beaches are only a taxi-boat ride away. 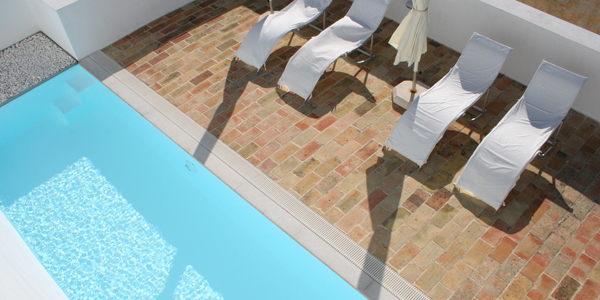 From £72 per room per night, based on 2 sharing a Double Room on a B&B basis. The stunning Beiras region, cradled between the Douro and Tejo rivers, stretches from the Atlantic coast to the Spanish border, yet few people outside Portugal would be able to place it on a map. It’s the perfect destination for those seeking deep relaxation, and this bucolic hideaway is packed with TLC. It was created from an abandoned hamlet by friends Manuel, Carla and Victor, who added ethnic art and contemporary furnishings to its old stones. 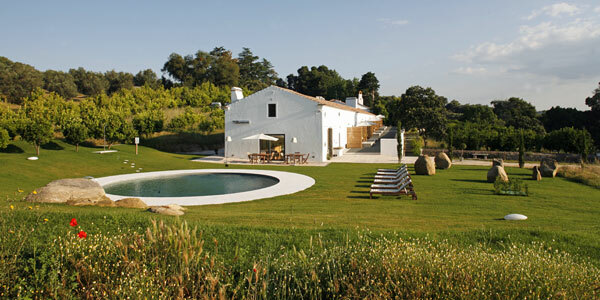 It now has a cluster of self-catering cottages for 2-5, along with a restaurant, a walled garden and a lovely pool. 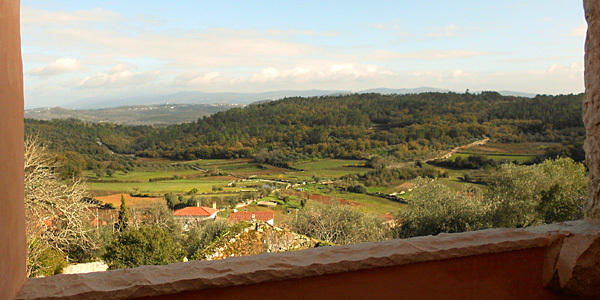 Hiking trails criss-cross the hills around, and the fascinating Roman site of Conimbriga is just a short drive away. From £86 per cottage per night, based on 2 sharing. This includes breakfast delivered to your door each morning. 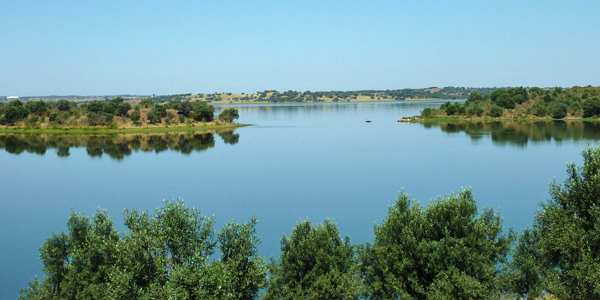 Set on the edge of the Caia reservoir in a forgotten corner of the Alentejo, this traditional farmhouse has been transformed into an airy, light-filled space, with glass walls looking out to water, sky and rolling olive groves. There are no neighbours for miles. 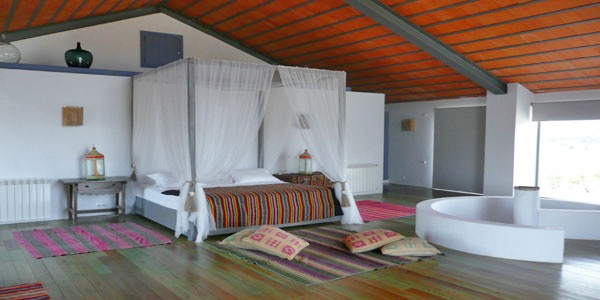 The 6 colourful, comfy rooms have bags of space, and the tranquillity is all-encompassing. Spend your days kayaking, windsurfing and picnicking on the shore, before returning for lazy afternoons on the deck. There can be few more romantic places to escape the world for a while. From £65 per room per night, based on 2 sharing on a B&B basis. 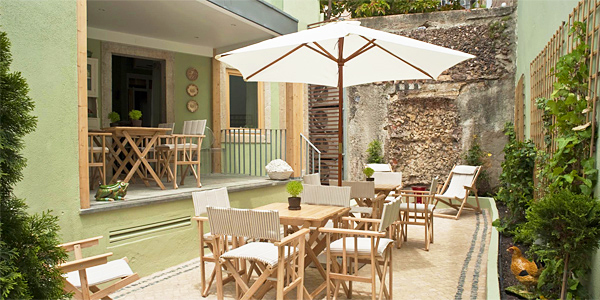 A great option for people who want a quieter side of the Portuguese capital, Casa Amora is an intimate guesthouse in the cobbled neighbourhood of Amoreiras, away from the hustle yet just a short walk from the city centre. 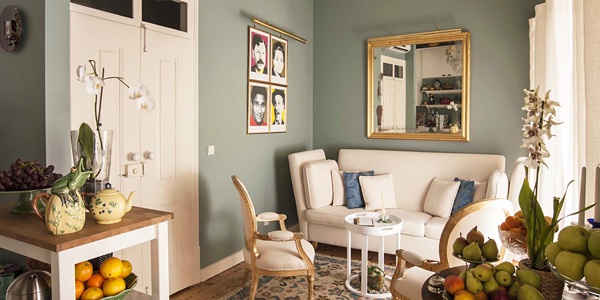 Set around a pretty courtyard, its 10 rooms and studio-style suites are each dedicated to a different Portuguese icon, with vintage furniture and silkscreen portraits. Staff are keen to make your experience of Lisbon a highly authentic one and are full of insider tips; manager Juan even offers walking tours tailored to your interests. 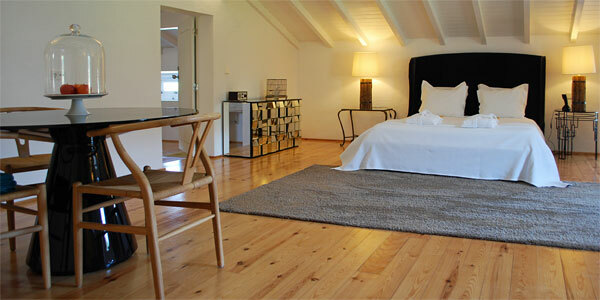 From £65 per room per night, based on 2 sharing a Basic Room on a B&B basis. Thousands of visitors flock to the whitewashed city of Evora, whose Roman temple and maze-like old town form a Unesco World Heritage site. But you needn’t stay among the throngs; just a few miles outside town, this stylish rural hotel sits among orange groves and was created from the ruins of a sprawling farm. There are 2 pools, lavender-fringed gardens strung with hammocks, and 7 chic rooms that mix designer furniture with quirky flea-market finds (vintage sewing machines in a bathroom, an old bicycle above a bed). Best of all, the only sounds are birdsong, braying donkeys and the occasional buzz of a distant tractor. From £115 per room per night, based on 2 sharing a Standard Suite on a B&B basis.